How to Develop a Sports Club App to Host Your Events? There are various apps available on the app store. Almost every sector is adapting the mobile technology to achieve success. The sports club app works as an ERP for a sports club. It is an effective software for sports club management. This app is useful for the sports club as it helps the supporters and club members to be updated about all the news related to the club. One of the most trusted mobile app development company, Tech Pathway helps you create a sports club app for different clubs, sports, followers and supporters with great ease and speed. From live video streaming, to social media sharing to real-time results, Tech Pathway offers you a great range of features, that are all set to take your sports club app to the next level, while helping you earn money in the long run. So, it can be said that it is quite easy for the sports club app to carry out the functionality of sports team and help the sports sector to reach the new levels. 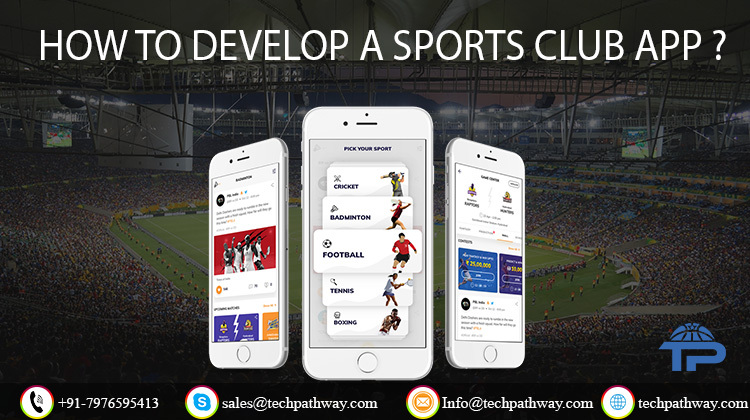 So, if you have any such idea of creating a sports club app, then feel free to contact Tech Pathway as we can assist you further in developing one such application.